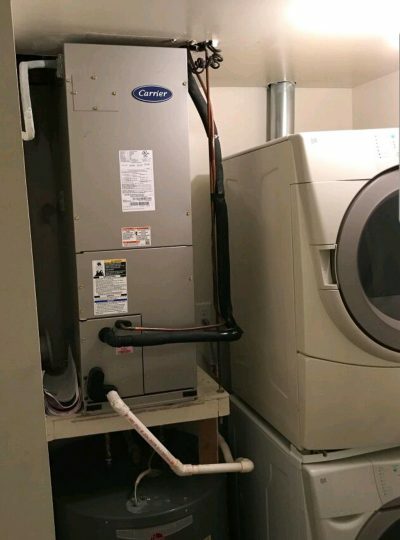 As a full service HVAC company in Philadelphia, CHF Mechanical provides quality heating system repairs, heater installation and maintenance services for both residential and commercial properties. Trust our experts with a combined 25 years of experience in the HVAC industry to get your heating system back up and running to full capacity quickly. During the cold, harsh winter months known to hit the Philadelphia area hard, you cannot afford to be without heat for even a few hours. CHF Mechanical will come to your home or building, evaluate the system then repair the problem quickly so you can get back to enjoying the comfort of your warm home or office. Furthermore, if the need arises, we can replace the entire heating system with brand new equipment to keep you warm for years to come. It is easy to tell when your heating system is not working properly: system not turning on and temperatures not reaching the warmth you desire are the two biggest signs. If you experience these issues, or an others including strange noises, burning smell, cold air pushing through vents and/or significant rise in heating bills call CHF Mechanical today. Our experienced HVAC technicians can repair a full range of heating equipment including electric, gas, heat pumps, geothermal heat pumps and boilers. While these problems will generally arise during the fall and winter months when you’re running your system daily, it is a good idea to schedule a heating maintenance appointment before the summer month’s start. Before the warm weather begins and you forget about your heater for a few months, call CHF Mechanical to do a full inspection so problems do not arise when you need heat the most. CHF Mechanical installs all types and brands of heaters with energy efficiency ratings ranging from 80% to 96% – the higher the rating, the more efficient the system performs. If a heater replacement is necessary, we take our time to ensure the installation is done properly, while also taking into account the volume of the area, desired location in the home and load capacity. CHF Mechanical also offers oil to gas conversions for those few homes in the Greater Philadelphia area still running on oil heat. Whether it is a simple thermostat replacement, a burning smell coming from the vents or a full system replacement, CHF Mechanical’s professional and experienced HVAC technicians are more than capable to handle any job. Call to schedule heater service, maintenance or installation today.